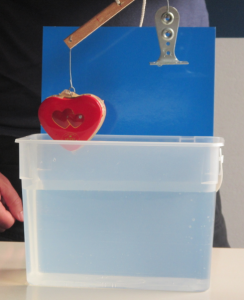 This is an experiment that Martin brought to Ratzeburg and that he let me use on my blog: Using a beam balance to talk about buoyancy. So at first we have two objects hanging on the beam balance, a heavy one with a large volume, and a lighter one with a smaller volume. 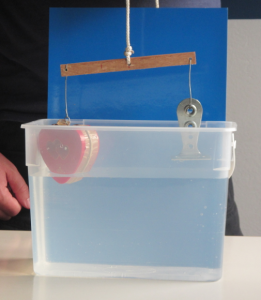 As we lower the beam balance towards the water, the large object starts floating! Whereas the other one does not. 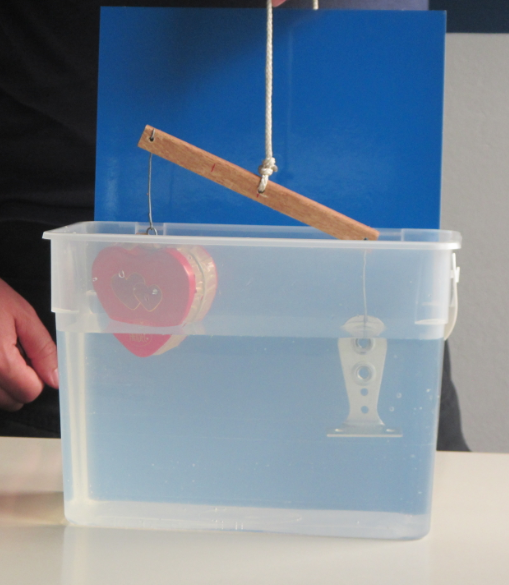 And in fact, the small object sinks and the larger one keeps floating. 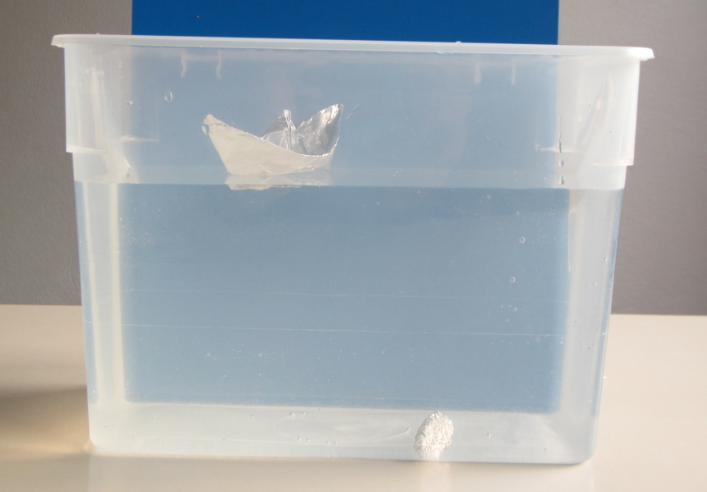 What a great experiment to talk about density and buoyancy! This entry was posted in demonstration (easy), kitchen oceanography and tagged buoyancy, density, kitchen oceanography, mass, RZ2015, sink or swim, weight on September 2, 2015 by mglessmer. A pet peeve of mine are books on handcrafts or experiments or any kind of activity that come with drawings instead of pictures, because I always suspect that it was easier to draw whatever the author wanted to show than to take a photo of it. Which, to me, suggests that it isn’t really all that easy to conduct the experiment or build the wicker basket or whatever it is you are attempting to do. So here is an experiment that I had seen drawings of and that Martin and I went to try: on swimming and sinking. 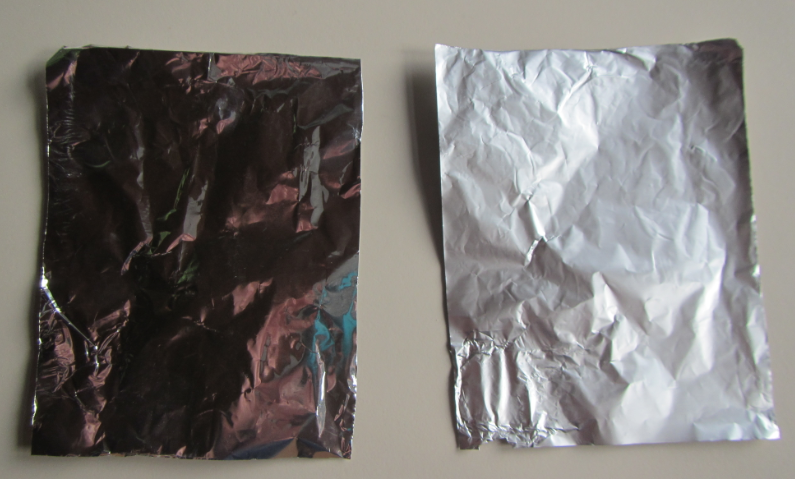 Step 1: Take two identical pieces of tin foil. Step 2: Build a boat out of one of the pieces, and a ball out of the other one. 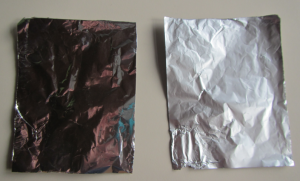 Two identical pieces of tin foil made into a boat and a ball. 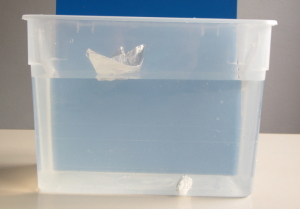 Step 3: Place the boat and the ball on the water surface. Step 4 to step 9: (And these are the steps that the nicely drawn instructions always omit) Watch the ball float on the surface. With growing annoyance, try to make the ball as compact as possible in order to make it sink. Step 10: This is what we wanted to see after step 3 already. Even though the boat and the ball are made of identical pieces of tin foil and their mass is the same, the boat floats while the ball sinks. 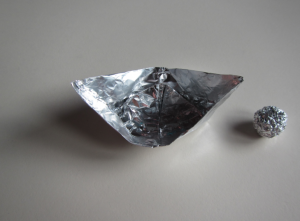 A boat and a ball made of identical pieces of tin foil. Boat floats, ball sinks. Nice demonstration! What do we learn from this? Always test experiments before using them as a demonstration, especially those that look extremely simple! This entry was posted in demonstration (easy) and tagged Archimedes, buoyancy, RZ2015, sink or swim on August 26, 2015 by mglessmer.